We are a State Society of the province of Salta that, in its constitution and as a fundamental part of its objectives, is our commitment to sustainable and inclusive development, it becomes a reality through our Social Responsibility (RS) program that Train a las Nubes has been doing since 2015. This consists of a series of programs based on four strategic axes that aim to involve the populations located in our area of ​​influence, encouraging the strengthening of their cultural identity, care and preservation of the environment, safety and care of its inhabitants. As of 2018, Wi-Fi Free (free and open) internet service is provided in El Alfarcito, San Antonio de los Cobres Station and La Polvorilla Viaduct. Educational development, the transfer without charge of more than 180 students of the last year of the municipalities that are within the path of student experience. 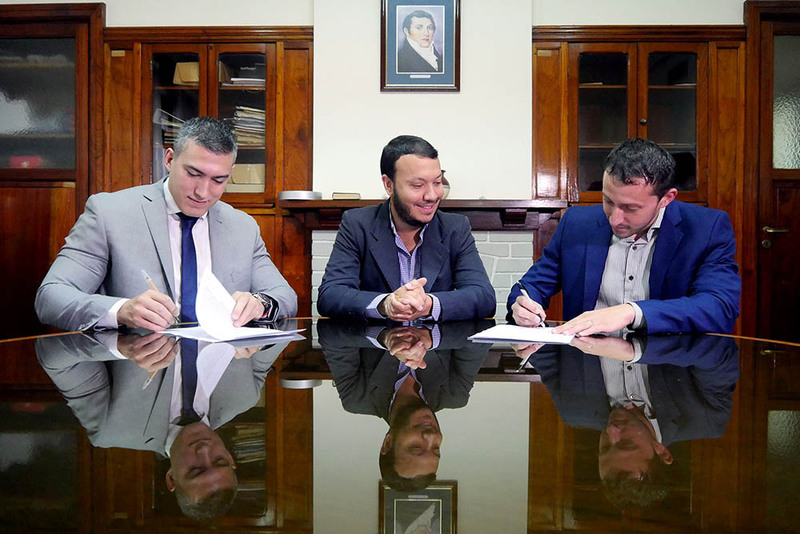 Educational development, Agreement with the Ministry of Education, Science and Technology for the free transfer of 300 senior students from different locations. Increase in the levels of satisfaction of passengers, measured by surveys carried out, coordinated action with the Tourist Service Headquarters of the province. The results of the surveys show the following information. Where 1 is bad, and 5 Excellent the result of satisfaction at a general level of passengers is located at 44 above the rating of very good. And Specifically in the experience on board the result is 4.78. Identification of points of tourist interest, design of signage in general. Participation of the community with the participants involved in meetings of the committee of the puna / Establishment of minimum standards for suppliers. Solid waste management and separation of them, coordinated with the Maintenance Management and the Tourist Services Headquarters of the Province. Provision of Containers for Separation of waste and awareness in the Quijano, Alfarcito, Tastil and San Antonio de los Cobres stops. Agreement with CEO-Sol Foundation to update environmental training and final disposition of waste that can be received. New cleaning standards, increased levels of satisfaction of our customers. Where the surveys show an average of 4.59 (1 is bad and 5 is excellent), well above the rating of very good. Renewable energies, Implementation of solar panels in bathrooms of S. R. De Tastil in 2018. Implementation of digital surveys (digital and online tablets), to encourage paper savings in 2018. This new modality in the Train to the Clouds excursion, allows the direct benefit on the original communities of the creek and the puna thanks to the expense that tourists make in the different stops estimated at $ 24,900,000 pesos per year in 2018. In Campo Quijano: It is planned to inaugurate the Tourist Work of refurbishment, expansion and enhancement of the Quijano Field Train Station, this work is carried out through the Sustainable Tourism Development program carried out by the Ministry of Culture, Tourism and Sports together with the Secretariat of Financing with credit from the Inter-American Development Bank (IDB), with an estimated investment of $ 17,000,000, work in which Tren a las Nubes has worked jointly on the corresponding advice and has planned a tourist stop in its travel. In the Alfarcito breakfasts and crafts purchases are contracted. Santa Rosa de Tastil (congregates 5 original communities) Sales of crafts and snacks are generated. San Antonio de los Cobres: 34 new jobs (30 road operators and 4 train drivers, more consumptions in gastronomy, handicrafts and visits to micro-enterprises.) Development of local suppliers through internal cleaning cooperatives, toilets drainage and Waste disposal and washing of the wagons In addition, SAC was recently declared a Magical Place and will receive tourism development investments on the river bank and the construction of a museum.